ThinSlim Foods Love-The-Taste Bagels are the healthy lifestylers answer to "What's for breakfast?" 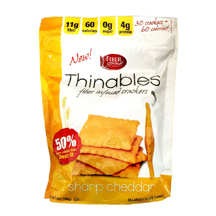 Don't forget to checkout the full ThinSlim Foods product line here: ThinSlim Foods. Including bread, bagels, muffins, brownies, and more. Traditionally, bagels have been made very large, very dense, very high in calories(190-300) and very high in carbohydrates (35-50) through the use of fast digesting white flour as the main ingredient. This makes them a very poor choice for healthy lifestylers. The Love-The-Taste bagels have only 90 calories and 0g of net carbs per bagel. The ingredients used digest significantly more slowly which means you stay satiated longer and your body doesn't turn the excess sugar into fat. 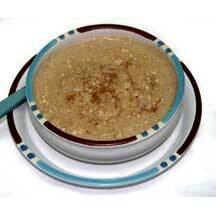 This is very evident by the fact that of the 7g of total carbohydrates per serving, 7g of it is fiber. I'm scared to waste my money trying them, how do they taste? They wouldn't be called Love-The-Taste if they were awful. In fact, in our retail store we let customers taste the product right out of the fridge without even toasting and 90% of them enjoy it enough to buy them. If you are really on the fence, don't forget we offer a Taste Guarantee on all ThinSlim Foods products applicable to one unit of each item. That is really up to you and your taste buds. We offer the plain for those who like plain, the cinnamon for those who want something sweet, and the everything for those who like some seeds. I can find low calorie bagels locally, why get these? Select supermarkets are now starting to offer a wider selection of low calorie bagels, but make sure to do your homework and compare the nutritionals ounce per ounce - those low calorie bagels might just be low calorie because they are super small. More importantly, no supermarket bagels are as low in carbohydrates as the ThinSlim Foods bagels. This is important even for people following Weight Watchers because a diet full of more fiber, and healthier types of carbohydrate sources will be more successful. Plus, Weight Watchers Bagels have a Diet Count Plus value of 4, while ThinSlim Foods Love-The-Taste Bagels have a Diet Count Plus value of 2. Do you have any bagels that are even healthier? Of course! Make sure to check out the ThinSlim Foods Love-Your-Waist Bagels. They are only 60 calories and 2g net carbs each - talk about a diet bagel! Of course the taste is not as good, but they still have a strong following. If you are the type of dieter who goes for Miracle Noodles, GG Crispbread, and other items on the extreme end, they are definitely worth checking out.